Graphic designers know how a mistake like this happened — simply put, the image wasn’t shrunken to fit the frame of the card. On Monday, Topps confirmed its existence as a legit card printed by the company and shed a little light on the card’s origin we prepared our Errors & Variations issue of Beckett Sports Card Monthly. 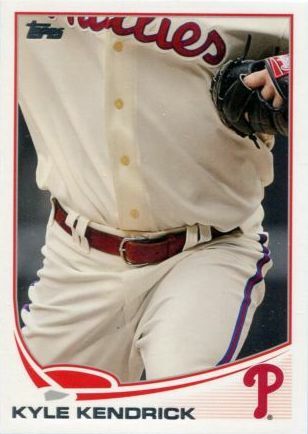 Topps’ Director of Product Development Clay Luraschi said the Kendrick card, which was in Series 1, was an error found during the print run for the 2013 Topps factory sets released in the second half of last year. First of all, thank you, Beckett, for taking three months to confirm the card was legitimate. You’re always at the cutting edge of reporting in the hobby. Snark aside, I have a couple of problems with this story. One, just how exactly does a card that was printed with no problems whatsoever in the beginning of the year encounter an image processing error when printed later in the year? All the other cards in the set were reprinted with no problems whatsoever, and it doesn’t appear that the cropping magically changed on any of them. In addition, maybe I’m a little jaded from years of other Topps marketing stunts (remember the Jeter card with Mantle in the dugout and Bush in the stands? 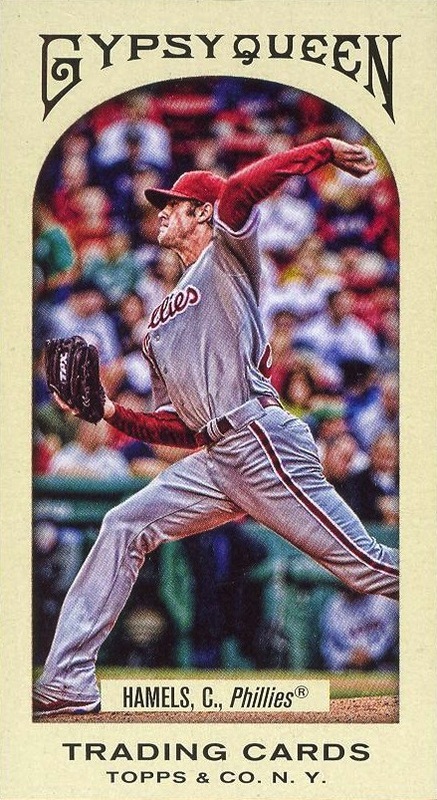 ), but I find it very hard to believe that this was a simple error as the Topps spokesperson would have us believe. I think the biggest problem I have with this story is that once again Beckett does very little in the way of real reporting on this card. They didn’t push back and ask Topps how a card that previously was printed correctly suddenly got misprinted and needed to be corrected to its original state. I assume that Topps saves the electronic files from the original print run — so, in theory, unless somebody went into the file and made alterations after the original printing, when Topps pulled the file and used it again to create plates for the factory sets it should have been exactly the same as it was in the original printing. An explanation from Topps as to how the “error” took place (or might have taken place) would’ve been nice to read. Instead, Beckett did what it always does: it acted like a stenographer and printed Topps’s story without any question whatsoever. 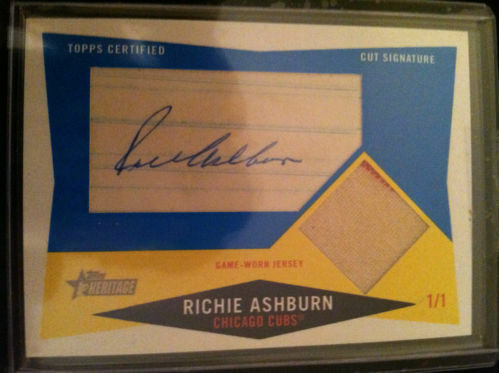 I also love the fact that Olds eagerly mentioned that the card has sold for as much as $76 on eBay, while making no mention of the fact that the last three have actually sold for less than $40 each. Chalk this up to yet another reason why I hate everything Beckett, the self-proclaimed “world’s most trusted source in collecting,” stands for in this hobby. The big gimmick for this year’s Topps flagship issue is the “career chase” line on the back of each card. Personally, I think it’s a rather silly one. 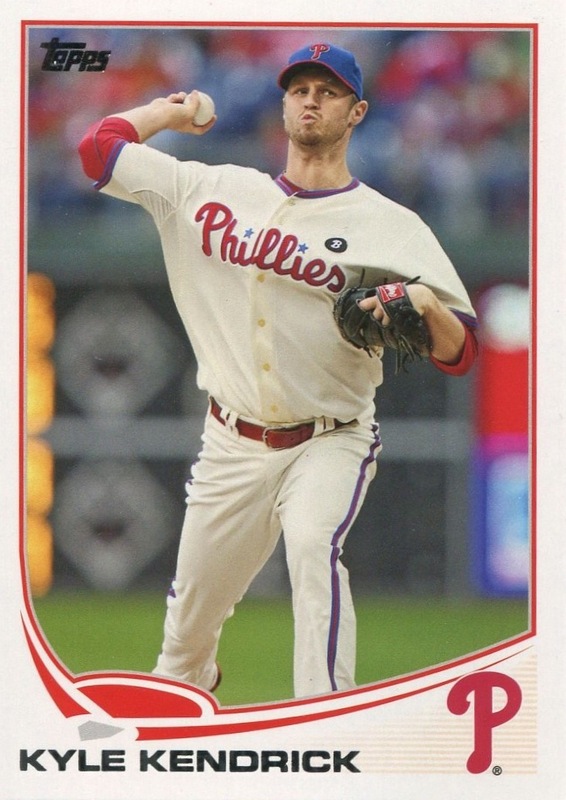 I’m old enough to remember back in 1985 when David Letterman started counting how many hits Buddy Biancalana needed to catch Pete Rose, and it’s easy for me to recall that when I see, for instance, the back of Kyle Kendrick’s card: “With 54 wins, Kyle Kendrick is 457 away from Cy Young’s all-time record of 511.” Every card contains what appears to be a Letterman joke on the back! 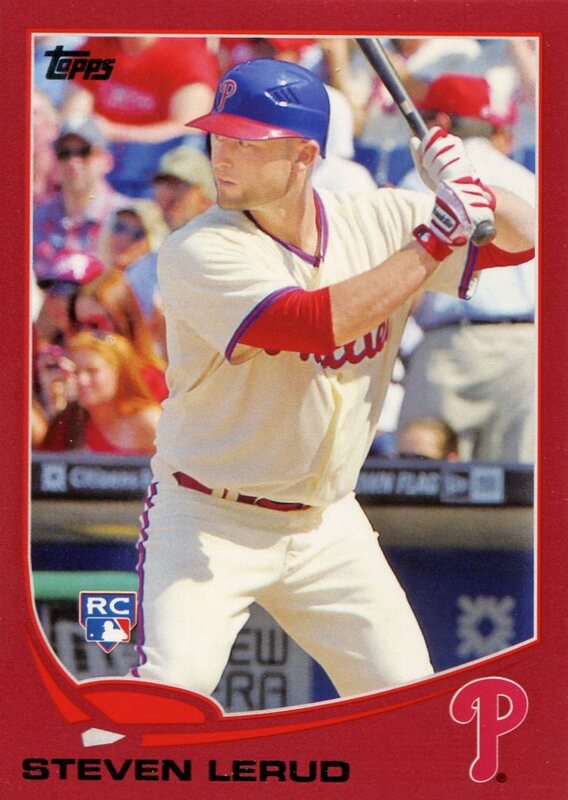 (Derek Jeter’s card is a notable exception, but since this is a Phillies collector’s blog, I have already said too much about it). 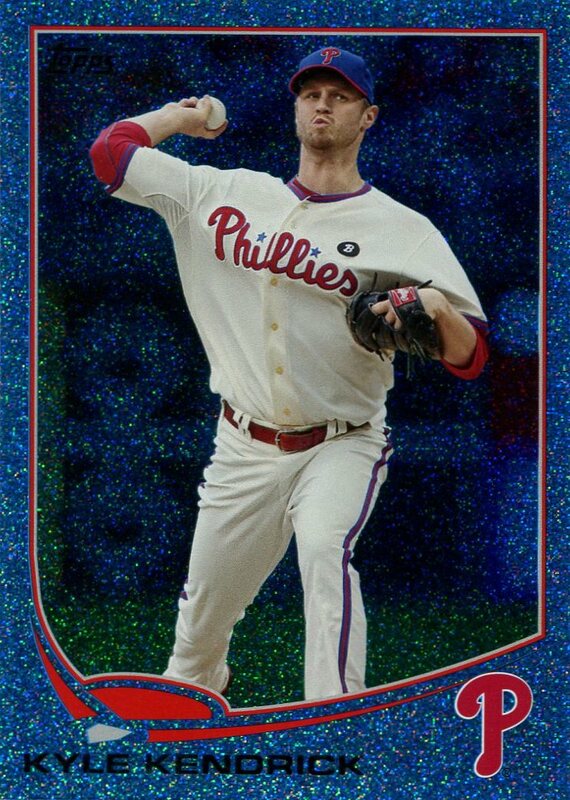 For me, that’s more than reason enough to mock Topps for this gimmick and hope that Topps decides to make it go away on both the second series and the update series when they come out later this year. 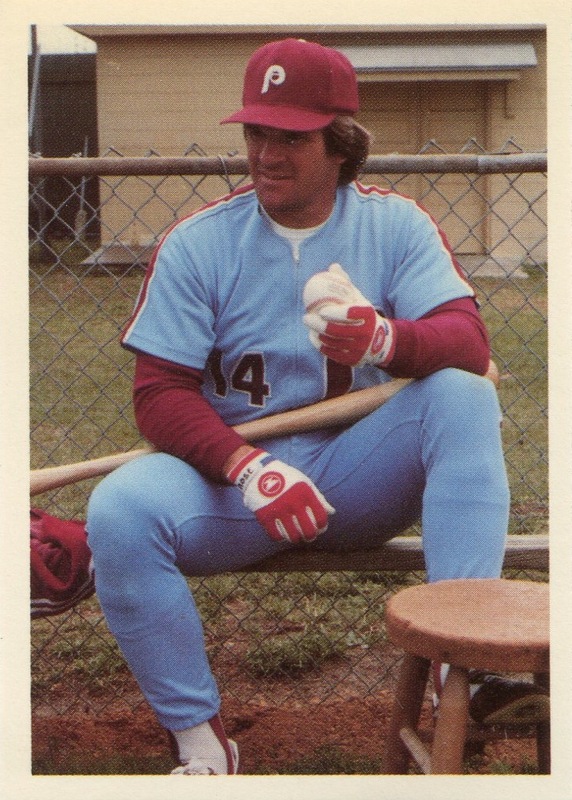 Now, MLB license restrictions bans Topps from using Pete Rose’s image or name on any of its cards. Faced with this impediment, Topps does not include Rose’s name on the cards where they document how far behind a particular player is from his all-time hits record. 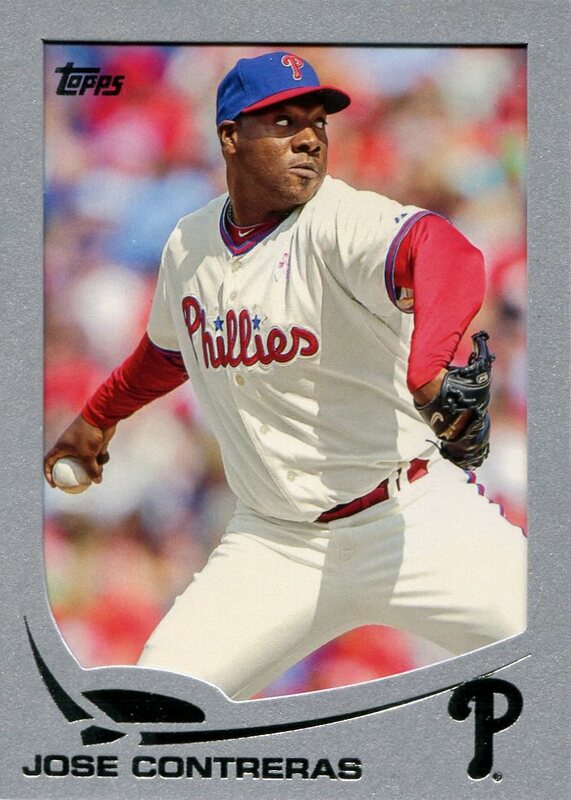 Anyone who takes a few minutes to understand how the MLB card licensing works would understand that Topps did the best they could, given their inane idea for incorporating stock information in the first place. However, one blogger — in an essay written in partnership with the Chicago Sun Times (let that sink in, and consider this a wonderful example of how the mainstream media continues on a path of lazier reporting/writing) — took it upon himself to berate Topps for not including his name on those cards. Worse still, the comments section to his post abundantly illustrate the abject ignorance so much of the Americans proudly wear like badge. Yes, I am engaging in a form of intellectual elitism here, but this is a case where it is warranted. In the comments, individuals who understand the licensing issues attempt to illustrate why Topps couldn’t use his name, and the great unwashed essentially state they don’t care and that Topps deserves to go out of business — losing sight of the fact that Topps could very well lose its MLB license for doing what they suggest Topps should’ve done. 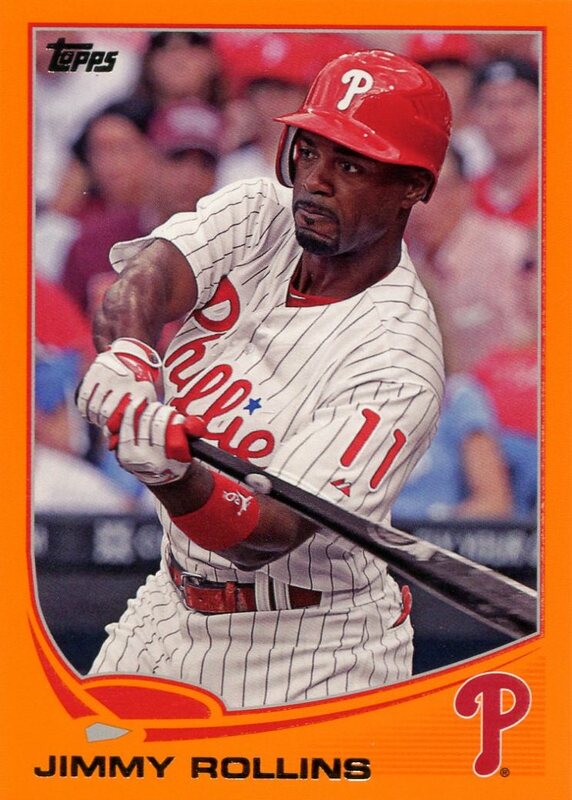 Should Topps, instead, have not given a career chase number for anyone in regards to the all-time hit record? I would bet that course of action would have just upset these people even more. In addition to highlighting a uniquely American brand of stupidity, it’s a wonderful example of how so many people refuse to let facts and logic get in the way of a purely emotional response. Please don’t misunderstand me — I think that there are plenty of reasons to be annoyed with Topps (forgive me for not listing them all at this time). However, their decision to not use his name anywhere on their product is a completely understandable one. If their action on this matter angers you, then direct it to where it truly belongs — not on the business that could lose its right to make a particular product if it doesn’t follow the rules. 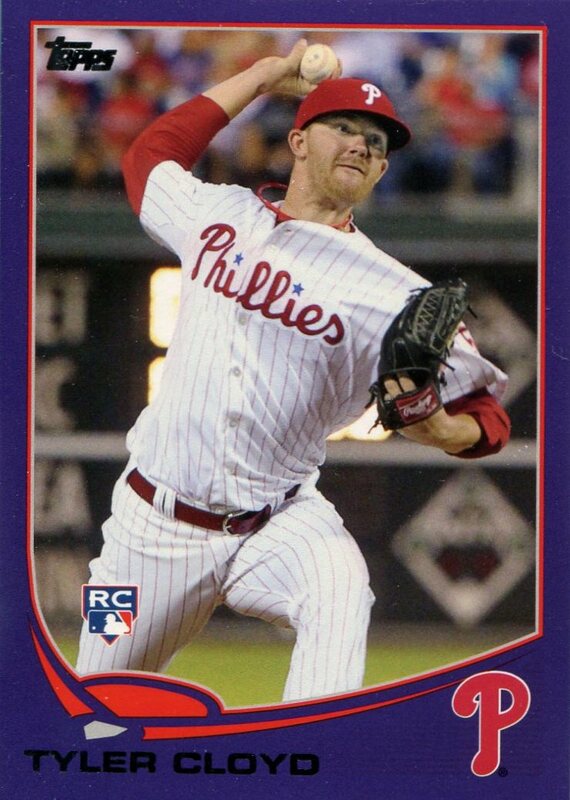 When I chose my 2011 Phillies Parallel Card of the Year, I stated that one of the criteria was that “whatever changes Topps made with the parallel actually made the parallel card more desirable than its base set counterpart.” That’s happens to be a good starting point for how I chose my Parallel Set of the Year. Given my oft-stated aversion to parallels, coming across a set of them that I enjoy more than the regular-issue cards is rather rare. So rare, in fact, that there are only three sets up for the honor. The other thing these three sets have in common is that I actually made it a goal to collect an the entire team set — even though in each case I already owned a complete base team set before acquiring the parallels. 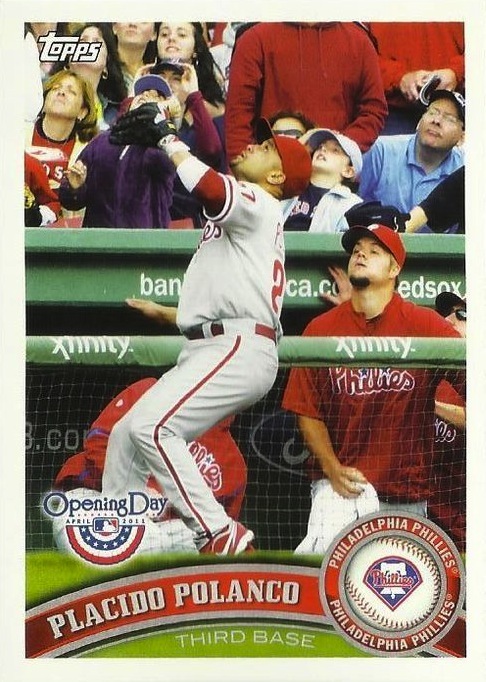 But before I write about those three sets, a few quick words about the Topps Opening Day set. Because it’s marketed as a separate set with its own inserts and parallels, it doesn’t qualify for Parallel Series of the Year. However, I did want to at least mention it because it is an essence a parallel set — one which in my opinion is preferable to the actual Topps set from which it derives. The reason for this is the total lack of foil or any other printing gimmick. 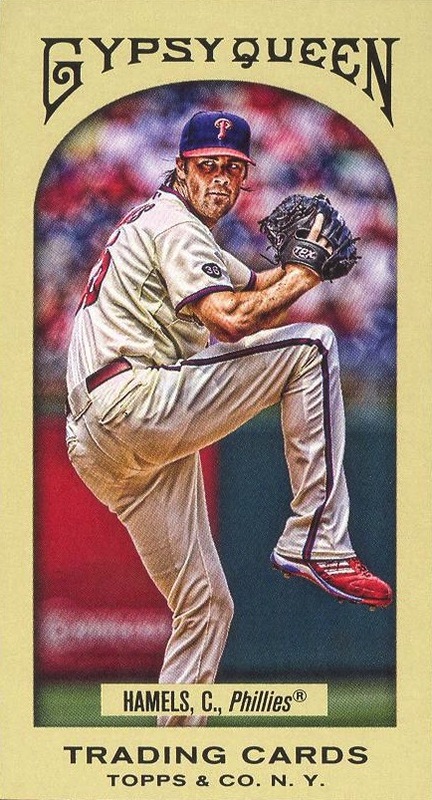 In my opinion, the Opening Day set is what Topps’s flagship set should look like, and that’s because the lack of foil on the lettering means that the front is actually far more legible than the front of a standard Topps card. The only complaint I have, and it’s a quibble more than a real complaint, is that the lettering is in grey rather than white, which would have made it even easier to read. The first of the three parallel series I considered comes from the Topps’s other set that’s actually a derivative of its primary set: Topps Chrome Sepia Refractors. 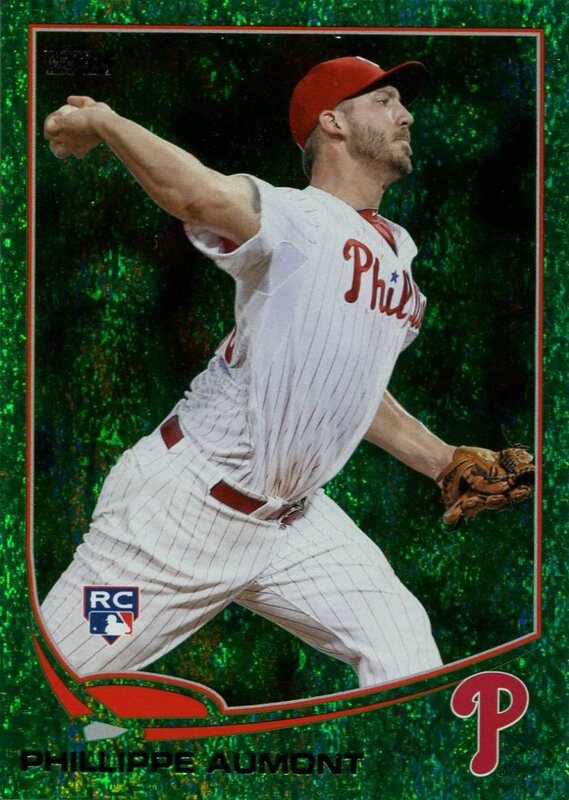 I have to admit that when I first heard about them, my initial reaction was, “Meh.” After all, Topps Chrome already possessed nearly a dozen other types of refractor parallels, did it really need another? Then I saw a Sepia Refractor and decided that while Chrome still shipped with too many parallels, none of them were better than the Sepia Refractors. 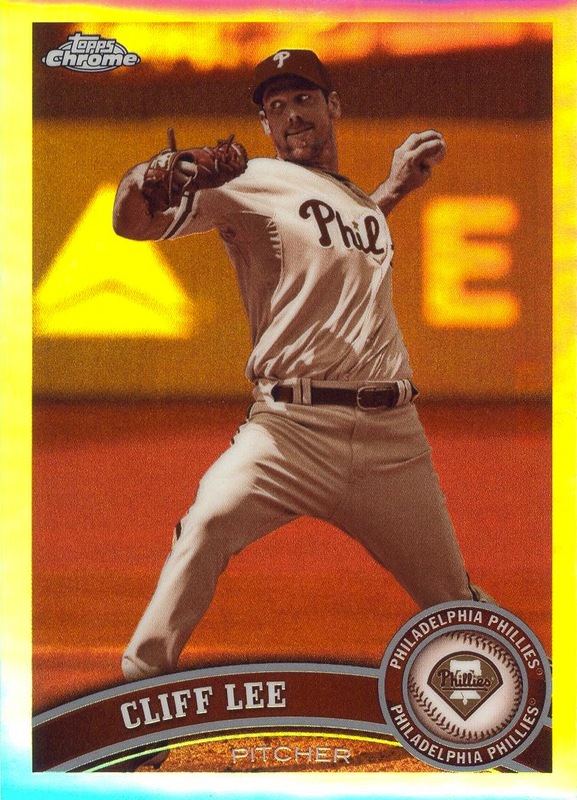 I think the thing I liked the most about them was that the sepia gave them a distinctive look from the base cards and any of the parallels in Chrome. 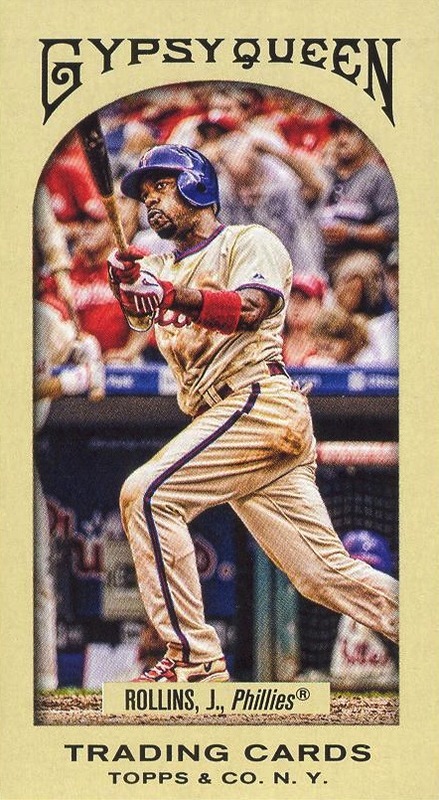 I know sepia parallels are actually nothing new for Topps, but it was the first time they appeared in a set that used that year’s primary card design, and I loved it. It just so happens that it was the Chrome parallel set I loved most. Unfortunately, the set did have a major strike against it — one that ensured I couldn’t pick it as my Parallel Series of the Year: it was serial numbered to just 99 cards, which made it an comparatively expensive team set to complete. 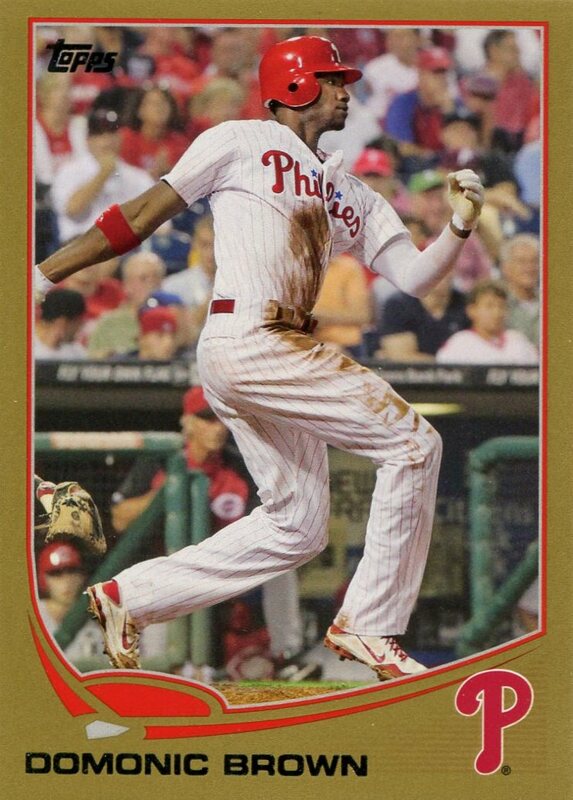 The next runner-up was Topps Diamond Anniversary. Although it was a type of parallel Topps hadn’t produced before, the look itself wasn’t actually different or special — in fact, it was nearly identical to the 1995 Score Platinum parallels. However, much like Topps Opening Day, the text on the front of the cards was actually easier to read than the text on the base cards. 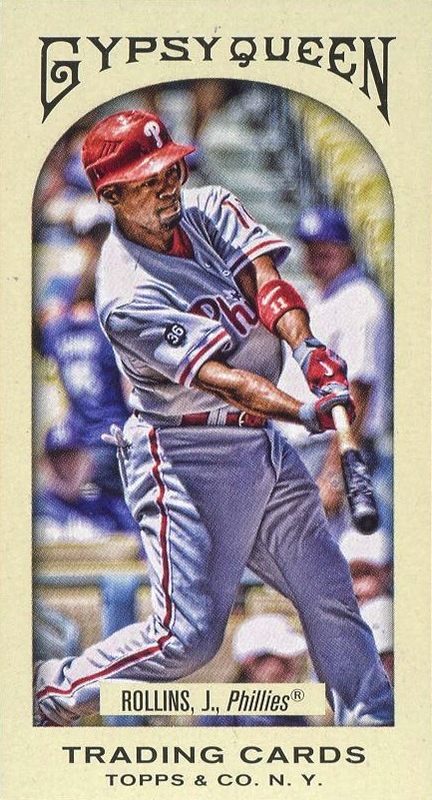 Additionally the Diamond Anniversary parallels possessed the bonus of being easier to scan than the base cards (a definite plus given my scanning project) as well as being relatively easy to acquire — unlike the Topps Chrome Sepia Refractors, which bore a serial-numbered print run of just 99. 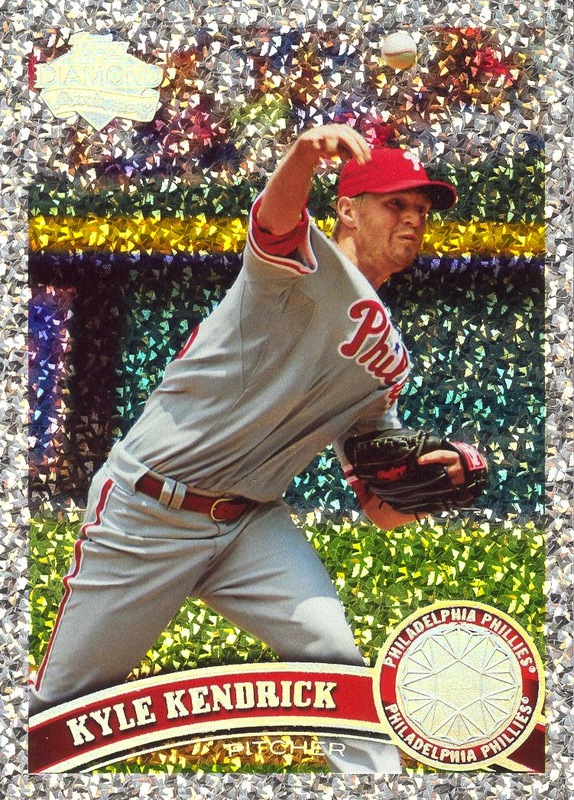 The only thing that detracted from the Diamond Anniversary parallels was Topps’s decision to issue the Cognac Diamond Anniversary parallels and the Hope Diamond Anniversary parallels in its Update Series offering. While they are separate parallel issues, the only real difference is the color tinting, and it was too much of good thing. 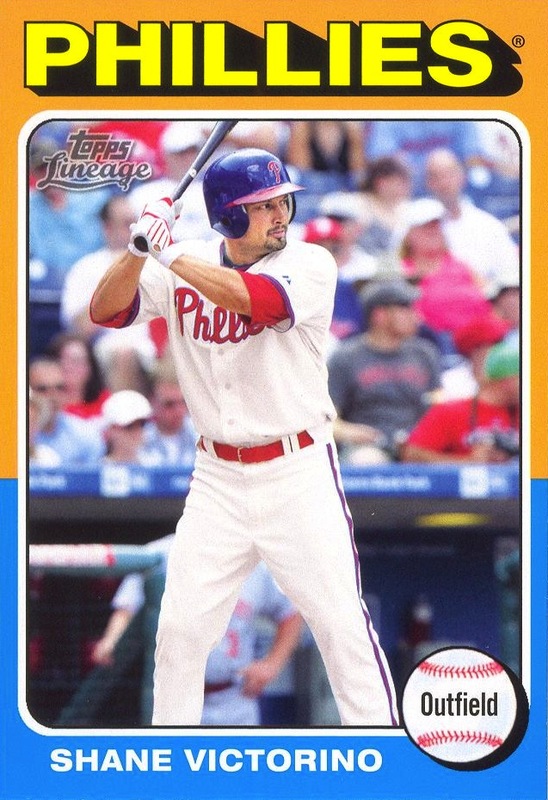 Given much of what I wrote in previous posts, the only thing that’s probably surprising about the appearance of the Topps Lineage 1975 Minis in this post is that they’re only a runner-up. A very close second place, mind you, but a runner-up nonetheless. 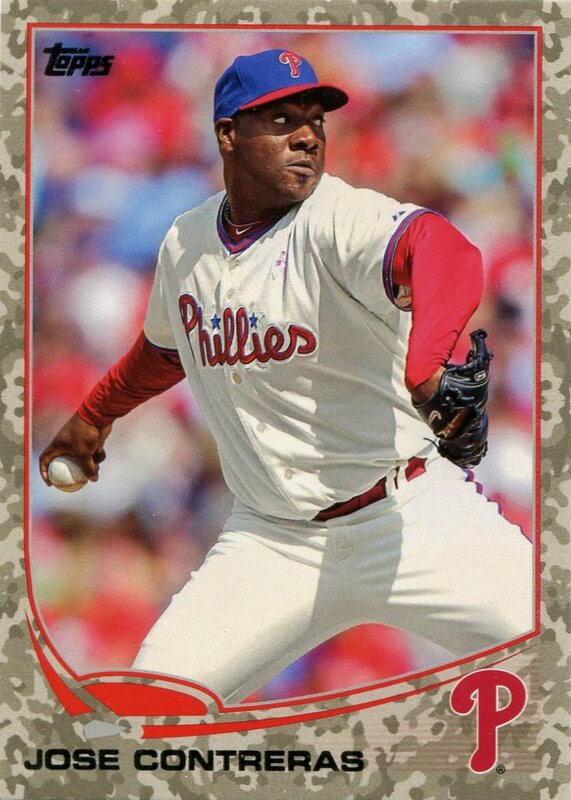 The reason for this is that while I harbor an unabashed love of Topps recycling old designs for current players, I also prefer that those cards to replicate both sides of the design. So, while the Lineage 1975 Minis only followed standard industry practice by using the same back as the base cards, I was actually disappointed that Topps didn’t take the time to properly reuse the back of the 1975 design as well — especially given that I thought the design of the back of the base cards was especially uninspired. I understand one could very well argue that that this series is actually the least inspired of the ones mentioned in this post, and I am somewhat sympathetic to the argument. After all, at first glance there’s not much of a difference between this parallel series and the Topps Allen & Ginter’s Minis — parallels that I did not consider for the honor. However, there’s one small detail that actually made a huge difference between the Gypsy Queen Minis and the Allen & Ginter’s Minis: variations. The original 19th-century Gypsy Queen set, much like the Old Judge set, included many photo variations for many of the subjects in the set. While the Topps didn’t do this for the base Gypsy Queen set, they did do so for the Mini parallels. 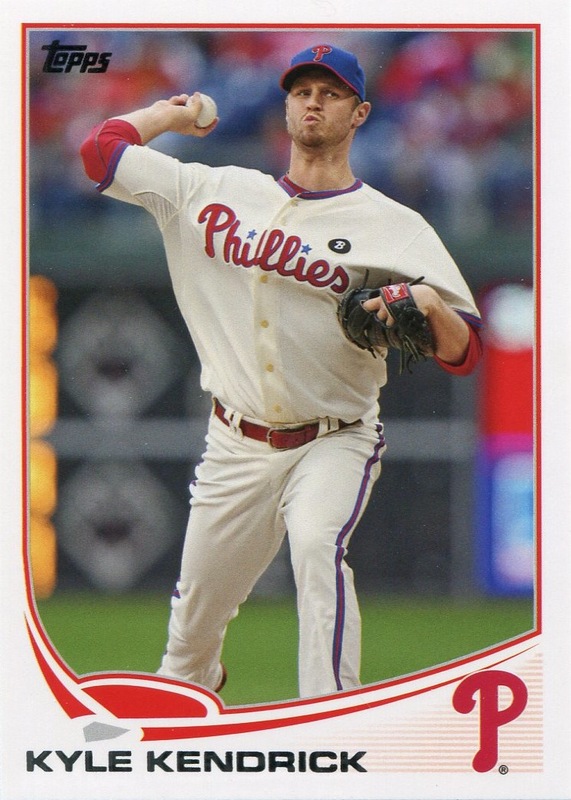 Jimmy Rollins, Ryan Howard, Roy Oswalt, Roy Halladay and Cole Hamels are received this honor. More so than any other series that came out in 2011, I made it a priority to get all the Gypsy Queen Mini parallels. The only thing that would have made these Mini even better is if they had been both in sepia like the Gypsy Queen cards upon which Topps modeled the set and standard sized. Unfortunately, Topps decided to do a separate Mini Sepia parallel that were serial numbered to just 99 — which you’ll recall is what I considered a major flaw with the Topps Chrome Sepia Refractors — and, far more importantly, did not contain variations. It’s a shame Topps made that decision. Gypsy Queen Sepias with variations and without a ridiculously small print run would have been my favorite set of the year (parallel issues aside).